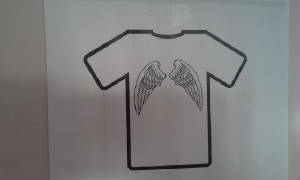 We just launched "The Angel T Shirt". With Wings imprinted on the back of the Shirt. Plus a Gold Tinsel Halo...is this the best :)! Place your order soon before these adorable shirts are gone!! !